Are you looking for 33 inch mud tires while still maintaining that budget? Then you have come to the right place. Here at The Car Addict, we know customers want the best deal on the best tires available. Finding a set of cheap 33 inch tires can sometimes be tough! But, buying the best tires at a fair price is not always simple. As a matter of fact, this is definitely easier said than done. Luckily for you, this buying guide has all of the information that you need. That way, you can get the some cheap 33 inch tires for your lifted ride! There are plenty of cheap 33 inch tires available for purchase. As a result, you have so many options to pick from. This makes shopping pretty difficult. Especially if you are a newcomer to the world of big and aggressive mud tires. Do not fret. This buying guide has useful information on the best choice for cheap 33 inch tires. Rather you are lifted, or stuffing these 33's on a stock Jeep Wrangler this list should have you covered. This buying guide boasts five of the very best 33 inch mud tires at the unbeatable prices, shipped to your door. You can pick any option on this list and be cruising in style, or hitting the trails when the mood strikes. We guarantee you will be very happy with the results. Read more information below today. Use this buying guide to your advantage for you lifted vehicle. That way, you can be under budget with these cheap 33 inch tires! The Federal Couragia M/T Mud-Terrain Radial Tire is first on our list of great, cheap 33 inch tires for your ride. This tire option provides you with great value for your hard-earned cash. So if you care about getting the best bang for your buck, you need to check out this 33 inch tire. 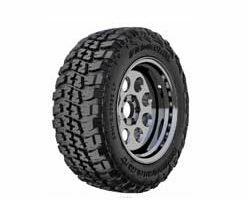 The Federal Couragia M/T Mud-Terrain Radial Tire is a premium off-road tire. This tire boasts both a stylish design but also the rugged qualities required for a fun driving experience. The well-designed nature of these tires provides a great amount of strength, grip, and traction. That way, you can dominate uneven terrain with ease. The trim pattern helps clear out random objects and substances for enhanced longevity. So you can rest easy knowing that you tire will not hold onto rocks and other items. Plus, on paved roads, these tires are designed for a quiet and smooth ride. So if you want to get great tires for off-road conditions and paved roads, check out these cheap 33 inch tires! Do you have money to spend? Then spend it! Get the best bang for your buck. The Radar RZD0013 Renegade R7 Mud Terrain Radial Tire is expensive. But, it is still one of the best, cheap 33 inch tires for your ride. This tire boasts a racing inspired design that offers durability and traction in off-road conditions. Plus, the sleek design offers all of the styles that modern drivers crave. Stone ejector technology provides you with an easy maintenance free tire. This technology uses a specific groove design to help remove rocks and debris from the tires. Thus, these tires will last for a very long time and you will not have to pick out the rocks yourself. The reinforced 3-ply casing offers a supreme amount of resistance to damage from bumps and uneven terrain. An aggressive tread pattern helps complement the adventurous drivers who want to dominate off-road conditions. Plus, this tire boasts a design that offers reduced road noise for a pleasantly silent and quiet ride out on the highway. Drivers craving off-road capabilities and convince will love these cheap 33 inch tires. Looking for the most valuable and cheap 33 inch tires for your ride? Look no further, the RBP REPULSOR M/T All-Terrain Radial Tire is made just for you. This tire option offers a great amount of value and services for a bargain. 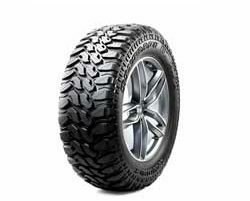 The RBP REPULSOR M/T All-Terrain Radial Tire is able to provide maximum traction for drivers who love adventures. If you want to scale rocky and uneven terrain then these tires are a great choice. These tires also have a soft side and can offer a minimal amount of noise on paved roads. You can use these tires to dominate whatever mother nature throws your way. Whether you want to take control of snowy roads, rain, sleet, mud, and dirt, these tires have you covered. The strong sidewall and tread protection features help make it a versatile tire for all kinds of driving situations. Plus, these tires look so good that they will surely set you apart from all other drivers on the road. 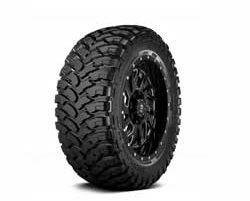 The Toyo Tire Open Country M/T Mud-Terrain Tire – 33 x 1250R20 114Q is a great pick. Toyo Tires make some of the very best and cheap 33 inch tires for your ride. Thus, this is a great tire option for anyone that wants to upgrade their full-size pickup truck. What is the point of having a big truck if it cannot handle off-road conditions and uneven terrain? Use the Toyo Tire Open Country Mud-Terrain Tire to enhance your truck for the best possible driving experience. These tires will allow for you to transition from paved roads to dirt trails in a matter of moments. Drivers looking for tires that let them make these types of decisions on the go will definitely love these tires on their trucks. Plus, these tires are built with a tremendous amount of strength as well. Thus, if you are someone that needs tires with a high load-carrying capacity then these are a great fit for your truck. These tires will give you all of the power and control that you need for your everyday life. So if you are looking for reliable and durable tires, you will love these cheap 33 inch tires. The Toyo Open Country A/T II All-Terrain Radial Tire is last but not least on our list of great Cheap 33 Inch Tires. These tires offer all of the versatility, durability, and traction that you need. The deeper tread depth and wear-resistant tread compound work together for an extended lifetime. Thus, these tires will last for a while and can help you dominate off-road conditions. An aggressive tread design helps offer optimal traction so you can take care of business on dirt trails. Whether you want to trek across mud, dirt, or snow, these tires will help you get to your destination. Plus, when you get back onto a paved road then you can enjoy a quiet driving experience. Stone-ejecting blocks work to remove any items and substances from the tread. This, you will have an enhanced sense of traction and control. furthermore, you will not have to spend a lot of time working on your tires and keeping them clean! If you want easy to maintain tires these are great and cheap 33 inch tires for your ride. You will love the new 33 inch mud tires! First and foremost, customers should take time to evaluate their budget. After all, even the cheap 33 inch tire options are not necessarily inexpensive. Yes, these tires are the cheapest options available but these tires are not going to be dirt cheap. Thus, set a limit to the highest amount that you want to spend on your tires. Then, you can focus on getting value for the cheap 33 inch tires that you want! This is the easiest part of buying a cheap 33 inch tire on the market. Pay attention to premier brand names like Toyo, Goodyear, and Michelin. While some may think this is bogus, it actually matters. Think about how often customers pick brand names for their food, cars, and clothing. Also, most of the high-end brands provide customers with great products more often than not. So keep an eye out for the best tire brands when buying cheap 33 inch tires. This point will be expanded upon in just a moment. 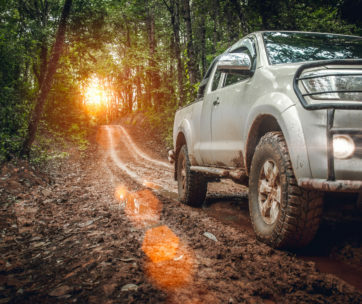 But drivers need to know if they want all-terrain tires, regular tires, or mud tires. After all, every single one of these tire styles is distinct and different. Keep in mind that all-terrain tires have an interlocking tread that helps offer traction in dry snow, ice, and mud, but also on paved surfaces as well. On the other hand, mud tires are built for better gripping power to deal with moving surfaces that are soft like mud. So customers need to focus on what type of driving experience they want with their cheap 33 inch tires and more! 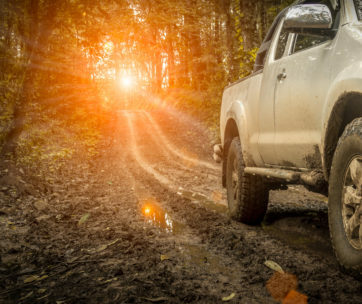 For some drivers, getting mud tires is an absolute game changer that enhances their driving experience. However, not everyone will want mud tires on their vehicle. As a matter of fact, customers need to learn everything they can about all of the different types of tires. For instance, drivers that want a quiet tire design may want more of an all season type of tire design. After all, mud tires are not always necessarily quiet. 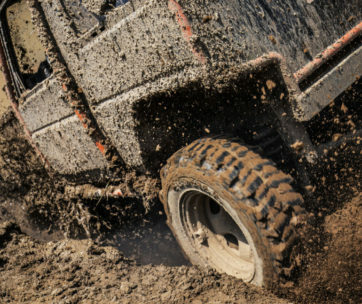 First and foremost, the benefits of a mud tire involve a better sense of control on the loose ground. After all, mud is a type of ground that may move under heavy weight. When wet, mud will sift and slide down slopes. This is how mudslides happen in places like California. Thus, these tires are built with specific tread designs and more. Mud tires are built with a very aggressive look. The specific lines in the tread are going to look very robust and serious. Thus, any driver that wants a hint of aggression with their truck should upgrade with some mud tires. Furthermore, these tires are best for rocky terrain that may be rough as well. So keep this in mind as you try to get the best cheap 33 inch tires and products available. Again, it is essential for customers to fully evaluate what they want in comparison with what mud tires provide. For instance, anyone that wants tires to reduce on-road noise will not want to cheap on 33 inch mud tires. After all, the same tread design that offers great traction makes these tires very loud. Thus, it can be disruptive and obnoxious to drivers that do not like these types of things. Make sure you get tires that best fit your preferred driving experience. Much like road noise, mud tires are not best for people that want a smooth driving experience. The tire design on these mud built tires are going to make driving on paved roads a little rough. After all, it is hard to build tires that can handle all kinds of terrain. Furthermore, these tires are not suitable for wet surfaces as well. Therefore, customers may want to check out all season tires for a more rounded driving experience. The cheap 33 inch tires for your ride provide the best possible performance! We hear from customers all of the time who have serious questions on their vehicles. Especially customers that want to know about tire design and the best tires for their vehicle. Thus, we have thrown together some commonly asked questions to help you and other drivers out. So read more below and then this information to get some of the best cheap 33 inch tires available. A: First and foremost, it is imperative to stay on top of air pressure. Customers that live in areas with fluctuating temperatures are encouraged to check whenever the temperature changes. After all, warm weather causes the tire pressure to rise. However, cold weather causes the inflation levels to drop and can potentially deflate them as well! Q: What Are The Benefits Of Keeping My Cheap 33 Inch Tires Inflated? A: When tires are properly inflated, they perform better out on the open road and off-road situations. Thus, customers are encouraged to keep everything at the recommended levels that manufacturers provide. Plus, inflated tires also help optimize the fuel efficiency of vehicles as well. That way, customers get the best of both worlds during their daily driving experience. To Be honest cost has nothing to do with this and them being cheap has zero affect. Q: Can I Get Professional Help With My Tire Installation Process? A: If you have just bought one of our cheap 33 inch tires then you are in luck. Almost all of these products work in tandem with Amazon to offer some installation services. Customers insert their location into the system and can then pick and choose the best location. Then, go to the shop and they have your tire ready to go. They can install it within a matter of moments! There are plenty of great 33 inch tires for your ride. Therefore, you need all of the helpful information and facts possible. That way, you make an educated and informed a purchase. After all, this guarantees you the very best results. You do not want to order the wrong size and you do not want to order the wrong type of mud tires. Always pay attention to all of the details along the way. Especially when it comes to a proper size and fit! Now, there is one easy trick for finding the proper size. All tire numbers are going to look the same. Here is an example: 33x12.5R20. The key number to look for is the very first number. In this case, the number is 33. Thus, this indicates the tire size. As a result, this is obviously a 33 inch tire size. So all you need to do is focus in on that very first number. There is nothing more important than the proper size. After all, even the best and cheap 33 inch tires for your ride cannot perform if they are not the right size! Plus, you will then have to try and return the tires which can be quite a hassle. Use this buying guide to your advantage. There are so many great recommendations for 33 inch mud tires. You can pick any single option and then dominate all types of terrain. Every choice is one of the best in the market when it comes to 33 inch tires for your ride. Best of all, you can spend the least amount of money on cheap 33 inch tires to get your lifted ride looking like a beast!